Now more than ever, people are digitally tracking their expenses rather than saving receipts and scribbling on notepads. Online banking and websites that track your spending are used often, but many still choose to also separately keep a list of their expenses so they can keep better track of themselves. The Expense Journal Template is the perfect tool for the person who wants to enter in their own expenses while avoid hand cramps from writing. This one page template is a downloadable Excel spreadsheet that is easily customizable. Once you have downloaded the template, you’ll see a red bar across the top that has been pre-populated with the word “Business”. This is just an example of what one can use their expense journal for. You can leave the word Business at the top or remove/replace it. Down below is the section to enter your name and the start and end dates for this expense journal. After those areas are filled in, begin entering the date, expense description, type of expense (example: transportation, lodging, etc) and the cost amount. 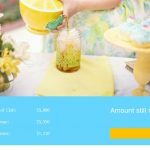 You’ll notice that as you adjust and add expenses, the total amount will automatically update to include the new data. This will save you time and you won’t need a calculator. Though this template features three lines for expenses, you can add more using Excel features. You also have a Notes section to the far right that can be used to enter in minor thoughts, such as “keep receipt in wallet” or “update HR on expense”. 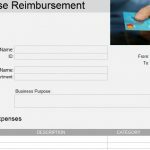 This is a great template to track expenses for a business trip, as you can print it out or email it after completion. 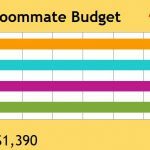 Use this template to help you budget. Use one copy to track all of your coffee, or other non-required expense, purchases for the month. At the end, you can see how often you make a certain type of purchase and how much it’s really costing you in the long run. Plan out expenses with this template. Groceries, gifts, or back-to-school shopping are just a few examples of what this template can organize ahead of time. Know how much each item is and the total amount you’ll be spending. Use the dropdown arrows on the columns to sort your entries and view types or cost amounts in your preferred order.